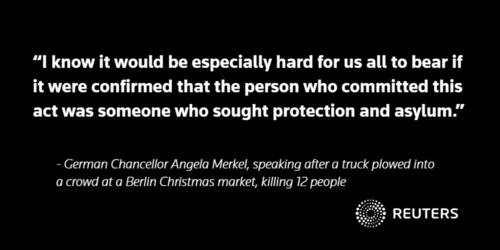 UPDATE: Berlin police said on Twitter on Tuesday that investigators assume that the driver of a truck that plowed into a crowd at a Berlin Christmas market, killing 12 people and injuring 48 others, did so intentionally. German magazine Focus said on Tuesday that police special forces were storming a hangar at Berlin's defunct Tempelhof airport, which now houses a refugee accommodation centre. 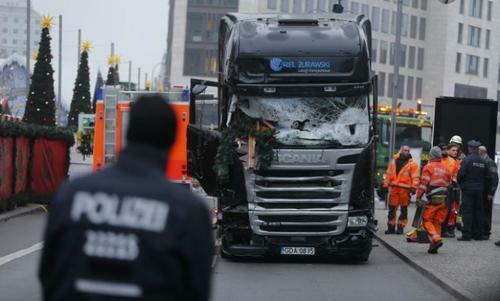 BERLIN - ​Local broadcaster rbb cited security sources as saying the arrested truck driver came to Germany via Passau, a city on the Austrian border, on Dec. 31, 2015. It cited the sources as saying the man was born on Jan. 1, 1993 in Pakistan and was already known to police for minor offences. German newspaper Die Welt said police special forces stormed a hangar at Berlin's defunct Tempelhof airport housing a refugee accommodation centre at around 4 a.m. (0300 GMT). It said, without citing its sources, that the arrested man was registered there. A refugee there who gave his name only as Ahmed told Reuters security guards had told him there was a raid at around 4 a.m. Prosecutors declined to immediately comment on the report. Reuters UKThe suspected driver of a truck that ploughed into a Berlin Christmas market on Monday, killing 12 people and injuring 48 others, was a 23-year-old from Pakistan named Naved B., German newspaper Bild reported on Tuesday. 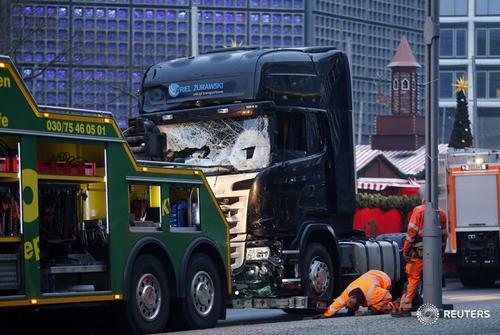 Reuters UKThe suspected driver of a truck that ploughed into a Berlin Christmas market and killed 12 people on Monday was a 23-year old migrant from Pakistan, a German security source told Reuters on Tuesday. BERLIN, GERMANY - Live from scene of the truck attack. 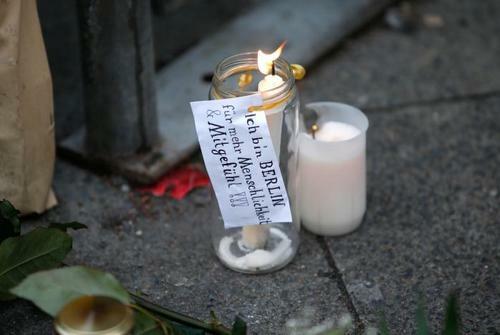 BERLIN - A candle with a sticker reading "I am Berlin - For more humanity and compassion" near the scene where a truck ploughed into a crowded Christmas market. London police said on Tuesday they are reviewing their plans for protecting public events over the festive period after Russia's ambassador was killed in Ankara and a truck ploughed into people at a Christmas market in Berlin. "The Metropolitan Police has detailed plans for protecting public events over the Christmas and New Year period," police said in a statement. "As a matter of routine, as a precaution, we review our plans after attacks overseas, and we are doing so at present following the awful incidents in Berlin and Ankara last night." 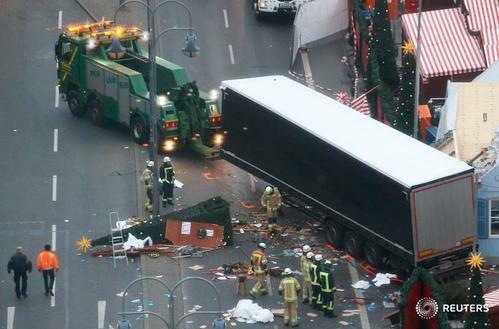 JUST IN: Germany's Merkel and Obama spoke by telephone this morning about the Berlin Christmas market incident. "President Obama assured the German Chancellor that the United States would support Germany in the investigation," said Merkel's spokesman Steffen Seibert in a statement. Christmas markets in Berlin will remain closed on Tuesday out of respect for the victims killed when a truck ploughed into a crowd at a market by the Kaiser Wilhelm memorial church, the Interior Ministry said on Tuesday. 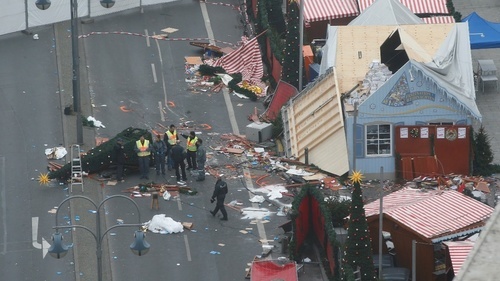 Other Christmas markets and large events will continue to take place across Germany and appropriate measures to increase security should be decided on site, the ministry said following a call of state interior ministers. 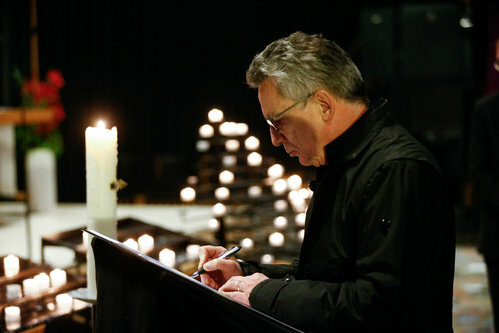 "No matter what we continue to learn about the exact background and motives of the perpetrators, we can and we must not let them take away our freedom," Interior Minister Thomas de Maiziere said in a statement. 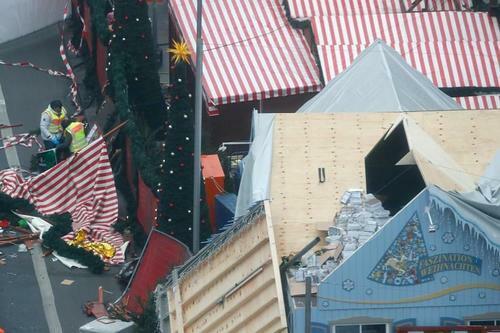 Dresden tourist information service said authorities had erected concrete blocks around the Striezelmarkt, one of Germany's oldest Christmas Markets, to increase security. 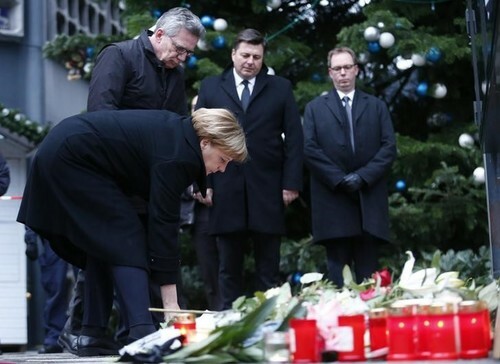 JUST IN: Germany's Merkel says the whole country is united in mourning after what happened in Berlin yesterday. 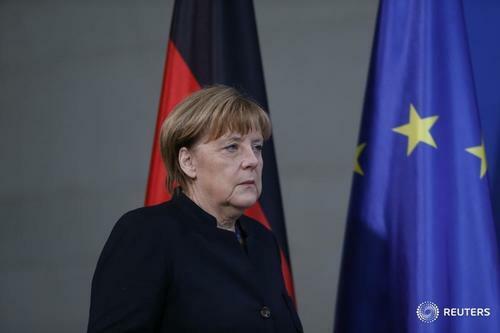 MORE: Germany's Merkel says must assume Berlin incident was terrorist attack; will be clarified and punished harshly. 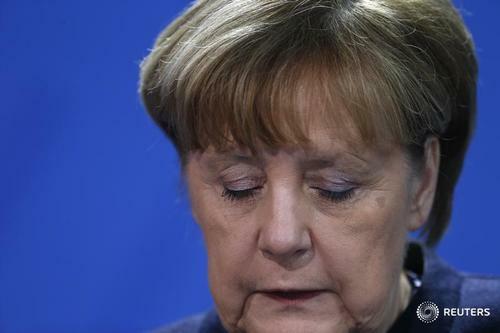 Merkel says it would be particularly repugnant if Berlin perpetrator had protection in Germany as refugee. 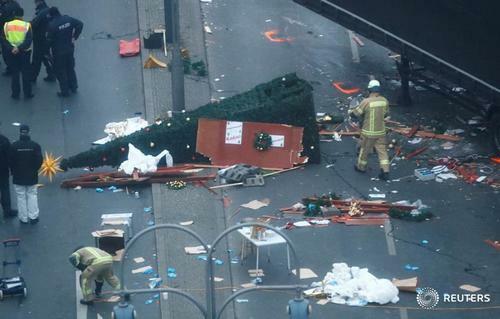 The interior minister of the German state of Saarland said on Tuesday Germany is in a state of war after a man drove a truck into a crowd at a Berlin Christmas market, killing 12 people and injuring 48, in a suspected terrorist attack. We must say that we are in a state of war, although some people, who always only want to see good, do not want to see this." 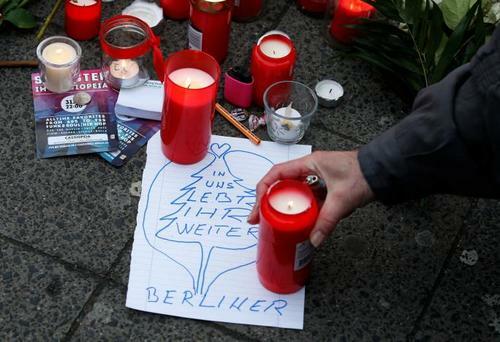 JUST IN: German newspaper Die Welt cites criminal police report as saying the suspect in the Berlin incident has had a temporary residence permit since June 2016. The report also said that there continued to be a high threat from Islamic terrorism in Germany but there was no concrete threat. A German security source said the suspect was a 23-year-old migrant from Pakistan known to police for committing minor offences. ReutersEurope's "cup of patience" over migration is beginning to spill over, the Slovak Prime Minister said on Tuesday, following an attack on a Berlin Christmas market that killed 12 and wounded dozens. France's government sought on Tuesday to reassure the public about safety during year-end festivities after a suspected militant attack on a Christmas market in Berlin, saying security forces were working round the clock to prevent such violence. 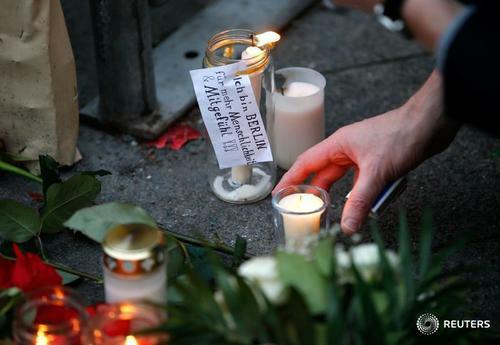 The Berlin incident revived memories of the attack last July 14 in which a man drove a large truck into crowds of people celebrating the Bastille Day national holiday in the French Riviera city of Nice, killing 86. Le Roux urged people to go out and party despite security fears, saying everything was being done to ensure protection, notably at hundreds of outdoor markets that draw millions of people into the streets at Christmas. "Police and intelligence are on the job 24 hours a day. Protection is guaranteed. I want people to go out and enjoy themselves," he told Europe 1 radio. He headed to Strasbourg in northeastern France to one of Europe's oldest Christmas markets, a sprawl of festive food, gift stalls and lights that draws about two million people ahead of Dec. 25, one of the main dates on the Christian calendar. There are hundreds of similar markets across France, as in other European countries such as neighbouring Germany. "We're not going to give in to blackmail and terrorism," said Strasbourg Mayor Roland Ries. "That would be tantamount to handing victory to them and their propaganda battle against the West." Large barriers had been erected to prevent vehicles entering the market zone in the ancient centre of Strasbourg, much of which is surrounded by canals and bridges, with security checks on people entering, Ries said. More than 230 people have been killed in Islamist attacks over the last two years in France, including 130 in Paris by suicide bombers and gunmen in November 2015 - an assault for which the Islamic State militant group claimed responsibility. Deployments of soldiers and police to sensitive sites such as airports and railways was boosted to 10,000 in the wake of the 2015 attacks, but later pared back to 7,000. Le Roux said the other 3,000 were on standby for year-end operations. 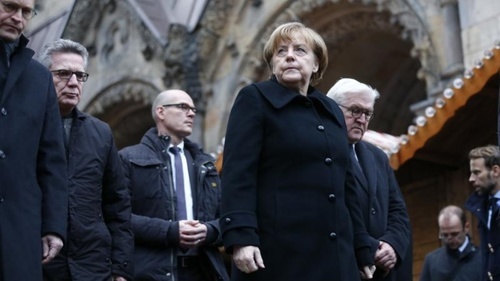 ReutersGerman Chancellor Angela Merkel's Bavarian allies called on Tuesday for a change to Germany's immigration and security policy after a suspected attack on a Christmas market in Berlin that killed 12 people. 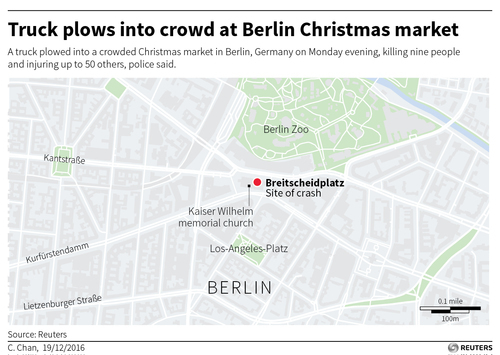 Police in Berlin will significantly increase security measures in the coming days, with steps such as erecting barriers, after the attack on a Christmas market on Monday evening which killed 12 people, the president of the city's police said. 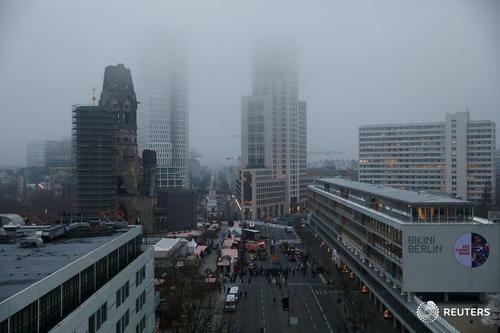 Berlin city's interior senator also said that plans for New Year's Eve will go ahead but security steps will be reviewed. 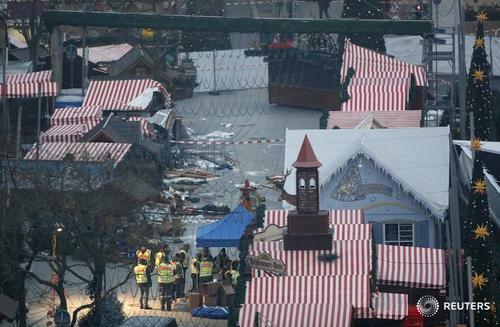 ReutersGerman police think that the man from Pakistan who was arrested as a suspect in the attack on a Berlin Christmas market that killed 12 people on Monday was not the actual perpetrator, Die Welt newspaper reported, citing senior security sources. 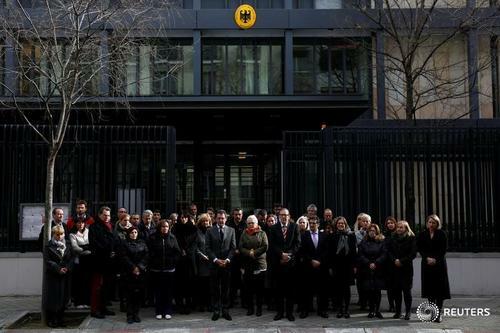 Personnel from the German embassy gather for a minute of silence for the victims who died at a Christmas market in Berlin, outside the embassy in Madrid, Spain. 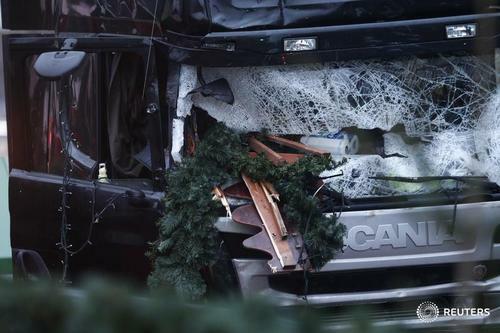 ReutersThe Polish truck driver whose vehicle was used in an attack on a Berlin Christmas market on Monday had arrived hours earlier in the German capital and spoken to his wife about 3 p.m., according to his cousin. 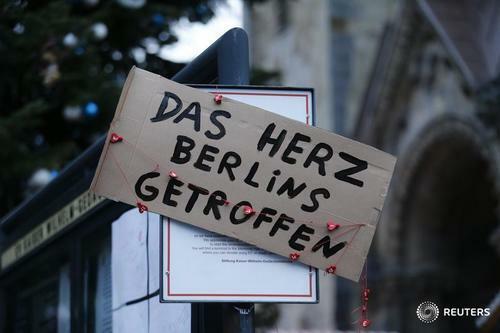 A placard reading "The heart of Berlin was hit" is placed in Berlin, Germany, one day after a truck ploughed into a crowded Christmas market in the German capital. 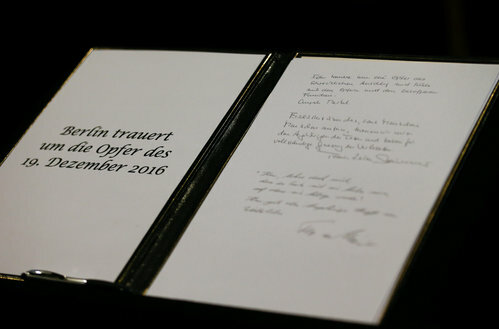 Reuters TVGerman Chancellor Angela Merkel has said a truck attack on a Berlin Christmas market is being treated as a terrorist act. At least 12 people have been killed after a truck ploughed into crowds on Monday. Refugees in Berlin pleaded with their host nation to avoid placing migrants under a blanket of suspicion after police commandos raided their shelter, which had been home to a man arrested over a truck attack on a crowded Christmas market. "We are of course worried," said Ibrahim Sufi, a 26-year-old Syrian living in Hangar 7 at the former Tempelhof airport, an imposing structure built by Hitler to showcase Nazi might and now being used to house migrants. 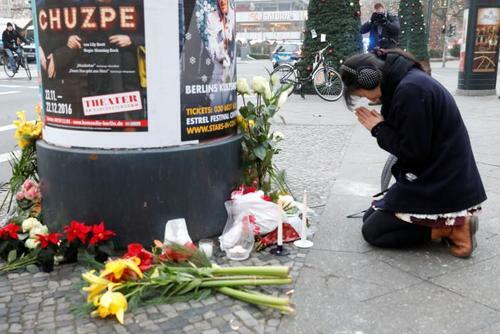 "We are worried about how the German public will view us after this terrorist attack," added Sufi, tucking his hands into his red jacket to keep warm on a freezing morning. "My message to the Germans is: 'Don't suspect everybody, don't generalise.'"